From a treehouse by the beach in Costa Rica to a luxurious campsite in Montana, unusual places to sleep on your next ranch and horseback riding vacation. As I've traveled the world on horseback, I've slept in a lot of unusual places. From a night in a cot on one of the world's largest salt pans to a night under the stars in Banff National Park to a castle in Ireland, there are lots of places you can lay your head while on a horseback riding vacation. 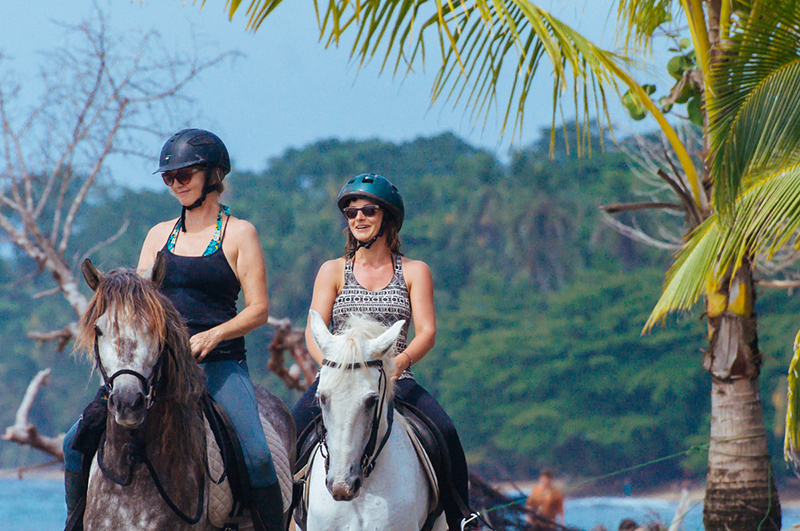 We decided to create this round-up of some of the more unusual and fun, so you can travel on horseback and sleep in style on the next vacation of your choosing. 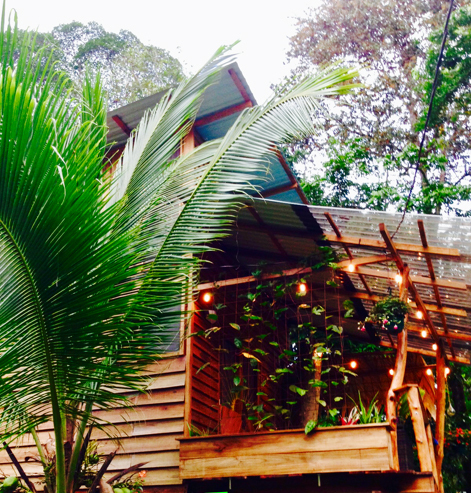 On a visit to Costa Rica's Caribbean Coast, you can not only combine yoga with beach rides, but also enjoy nights in your own private jungle treehouse. 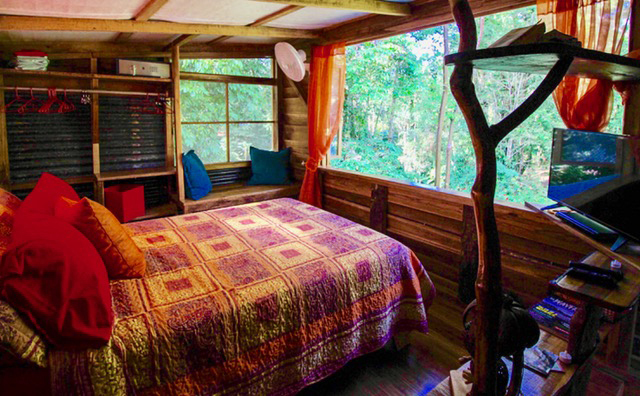 Kindred Spirits' Green Frog Treehouse consists of a cozy one bedroom and one bathroom in the trees with your own little balcony. The treehouse includes a kitchen with fridge, coffee maker and stove, so you can enjoy breakfast and a morning cup of joe while listening to the sounds of nature. Other accommodations at Kindred Spirits include cottages, cabanas, and a luxury villa. 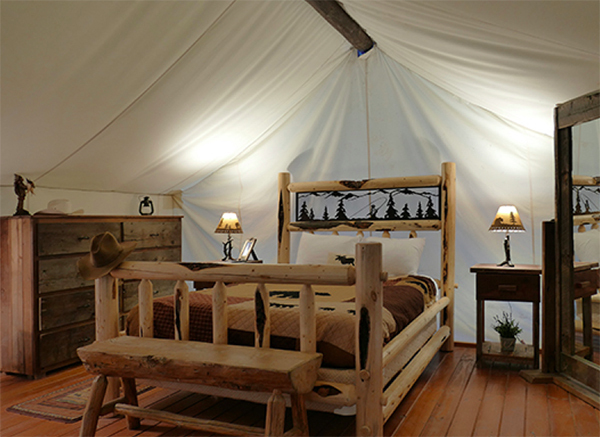 Guests at Bar W Guest Ranch in Whitefish, Montana Bar W can commune with nature in comfort by glamping, enjoying glamorous camping. Imagine a tent whose interior is large enough that you can walk upright inside and outfitted with a plush, queen sized bed, log futon, private porch, refrigerator and coffee maker. Need to use the facilities in the middle of the night? A heated bathroom is just steps away. Guests who have always wanted to camp, may like to dive in by starting with glamping, which is camping, but perhaps camping light. 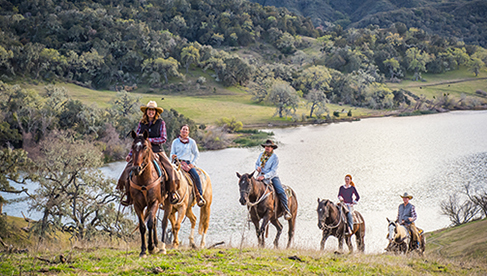 Glamping is available for ranch vacation packages May 1- October 31, during the warmer months. Even during the summer, there are cool Montana nights, when those heated bathrooms coming in handy! Riding horses by day and sleeping in a castle by night is not too shabby. 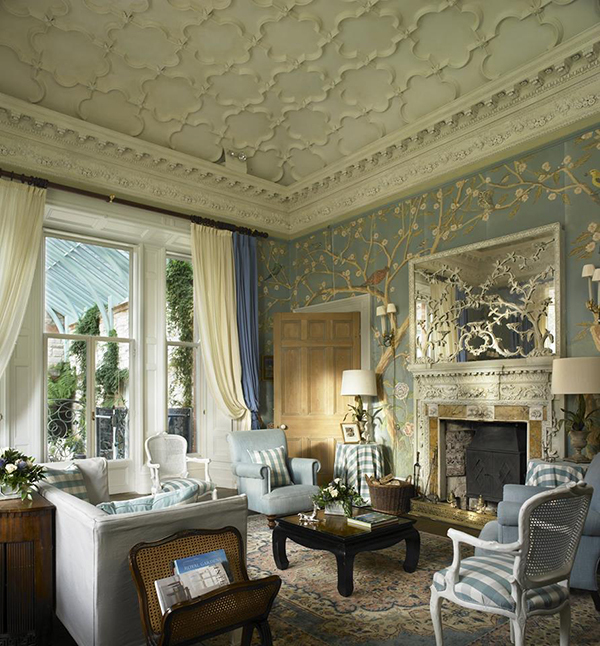 We experienced this luxury at Castle Leslie in Ireland... and others have as well. 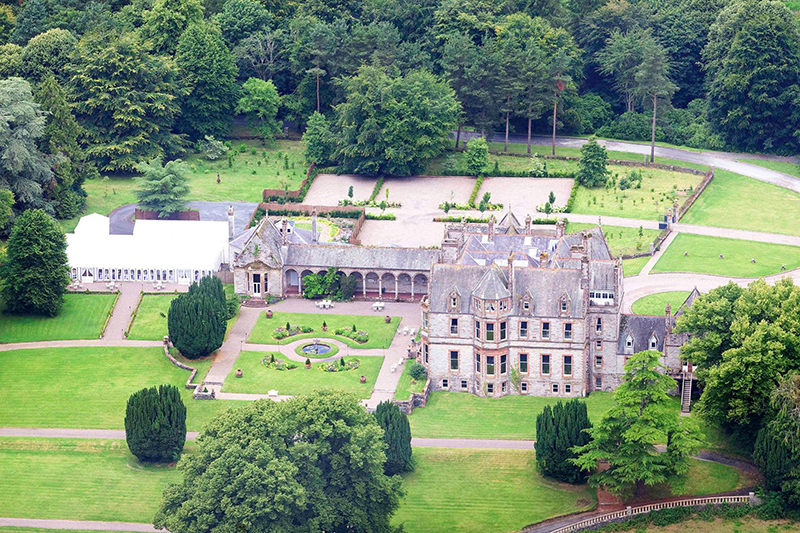 Castle Leslie made headlines in the early 2000's when Paul McCartney and Heather Mill's wedding was hosted in St Salvator's Church on the estate. Throughout history, this castle has also been visited by famous musicians, including Rolling Stones frontman Sir Mick Jagger, members of the Churchill family, Queen Margaret of Sweden and Irish poet WB Yeats. Each room of the castle has its own special story and makes you feel like you're stepping back in time. 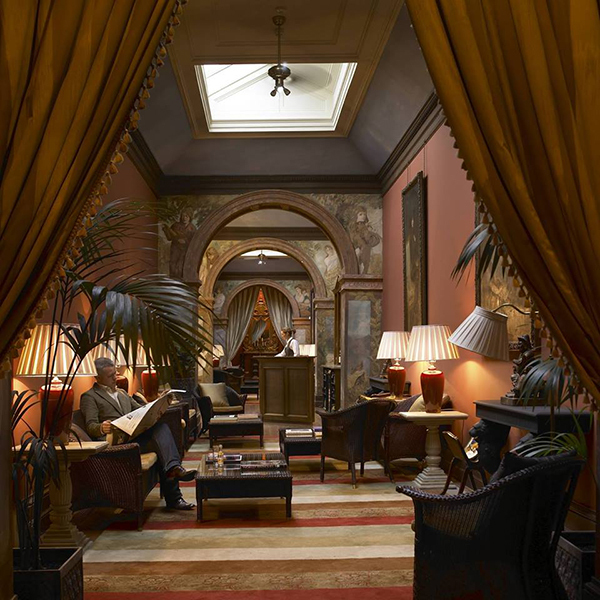 Soak in a complete bathroom hidden away in a doll’s house or sit downstairs by a roaring fire amid priceless antiques. This is a truly regal, yet comfortable upscale equestrian holiday. Located just 80 minutes from Dublin and 60 minutes from Belfast, we recommend this castle equestrian vacation for your next Ireland escape. 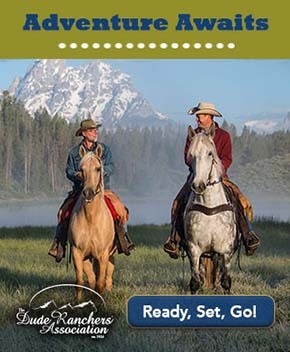 Learn more about great places to enjoy a horseback riding vacation in the Equitrekking Vacation Guide, Equitrekking Travel Deals, TopRidingVacations.com and Top20Ranches.com.